Totally risk free way for you to save money on your car problems. Finding right automotive repair service of all makes of cars and specializes on CV‘S Joint replacement, brakes repairs, suspension, engine, automotive transmission manual and automatic repairs, clutch overhaul, electrical repairs starter and alternator and many other car problems. Is not that easy today you find an automotive repair service going to help you not only to repair your car but also save money and give you right advice, also teaching you to do small automotive repair on your car. Everyone knows that maintenance is necessary to keep your car in good condition and working order. I recommend to find a qualified automotive repair service mechanic who has trained , study to do the job properly , trustworthy and honesty.The maintenance is the large part in determining the value of your car when you decide to sell it or trade it. How You Find A Reliable Automotive Repair Service? Honestly, there isn’t a formula or manual neither is it a science , on how to find a good automotive repair service. There are some basics principals to bear in mind that will help you to find reliable mechanic . I will show you how you find reliable automotive repair service if you follow every information you read here, or I will send it to you if you decide to subscribe for free information and newsletter. Servicing and repair your car on a regular basis, you can help to prolong the life of your car, save yourself money, keep you and your family safe, and keep your car running at its best. Servicing your car now can help prevent expensive repairs in the future. Did you know there are many moving parts in your engine alone? First thing, first we start with the tires and the brakes, the muffler, shocks, struts, belts, hoses and windshield wipers. The list is long to say. Only way to keep all these parts operating so your car can get you where you need to go, it needs both routine check-ups and scheduled maintenance and automotive repair service to do quality work in your car and help you to understand how your car work for you don’t cause big damages when your car problems just start appearing. What Is Tune- Up Mean To You? The word tune-up is combination of single operation rather than one specific repair procedure. If your car is new, the routine maintenance schedule is followed closely by dealership offering motorplane, and frequent checks are made of the fluid levels and high wear components. Your car engine must be kept in good running condition and the need for additional work will be short. But, there will be times when your car engine is running poorly due to the lack of regular maintenance. Is waste if you have used car which has not received regular and frequent maintenance checks. In this cases an engine tune-up will be needed outside of the regular routine maintenance intervals. There is your first tip to do in any tune-up or diagnostic procedure a compression check. Why An Automotive Repair Service Do Compression Test ? A compression check going to help you to determine the condition of internal engine components. 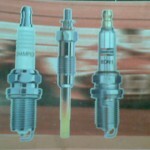 The compression will be used as guide for your car tune-up and repair procedure. Lets assume for instance your car compression check indicates an internal engine wear, your car tune-up will not solve your car problem, and will not improve the performance of your engine. That mean you wasting your time and your money by your automotive repair service the truth, your auto repair mechanic is not honest mechanic is there for money not to give you right advice. Take note of this one when your car engine compression is low. The compression is very important for your car engine. If you don’t know how you do compression check, or you don’t have a right equipment it’s better find an honest automotive repair service to check it for you. Is better to spend a few coins on compression check or you will be charged for tune-up is not necessary. Look for automotive repair service they service centre have latest automotive service tools to print for you compression test print out there where you can see witch on your car engine cylinders is weak. If you decide to buy used car use this information and tip before you purchase it. I, Fouzi thank you for subscribing and visiting my website. My Car Symptoms, is my new e-book subscribe now is free. If your car is in need for tune-up and free compression check contact me at Fouzis Service Centre for free quotation and prices. I have special on oil change and free wheel alignment check if you want to benefit from that subscribe to my newsletter. May be if you know how to tune-up your car, buy your service kit from this auto parts store is free shipping click here. Fouzis Service Centre is Retail Motoring Industry Organisation (RMI) And Insurance Warranty Accredited. In House Financing Arrangement.